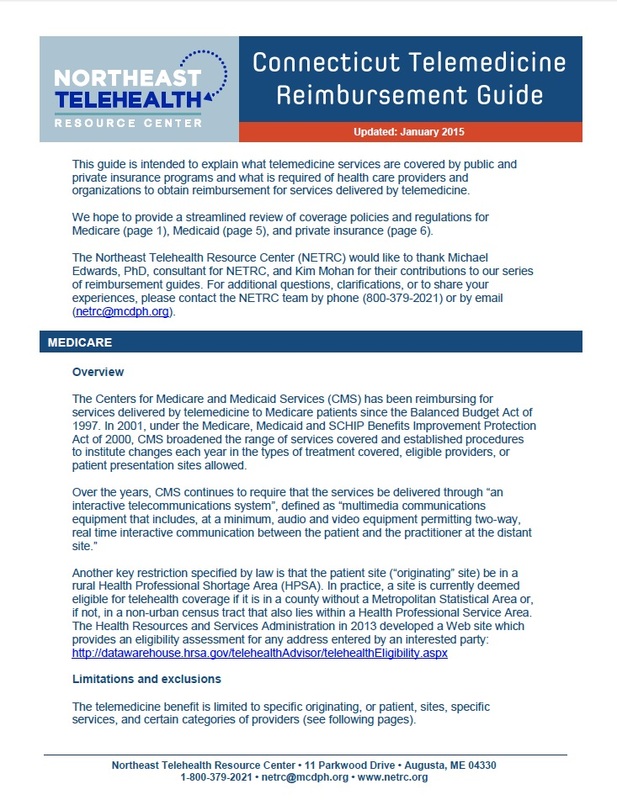 NETRC is pleased to provide our 2015 Connecticut Reimbursement Guide, including sections on Medicaid, Medicare, and private payers. The practices regarding reimbursement for telemedicine services are frequently changing as new laws are passed or new policies are adopted by carriers. We invite you to become part of an effort to keep these publications as accurate and up to date as possible. We hope that you find the manual to be a valuable resource and encourage you to send feedback, questions and suggestions for further investigation to us. NOTE: This does not reflect a new law mandating private insurance reimbursement effective January 1, 2016. This follow-up paper to the 2013 report from the Connecticut Office of Rural Health shares the perspectives about telehealth services held by licensed home healthcare providers as well as other home healthcare industry leaders. Validation of a whole slide imaging system for primary diagnosis in surgical pathology: A community hospital experience.